What Features Does Mailgun Offer? 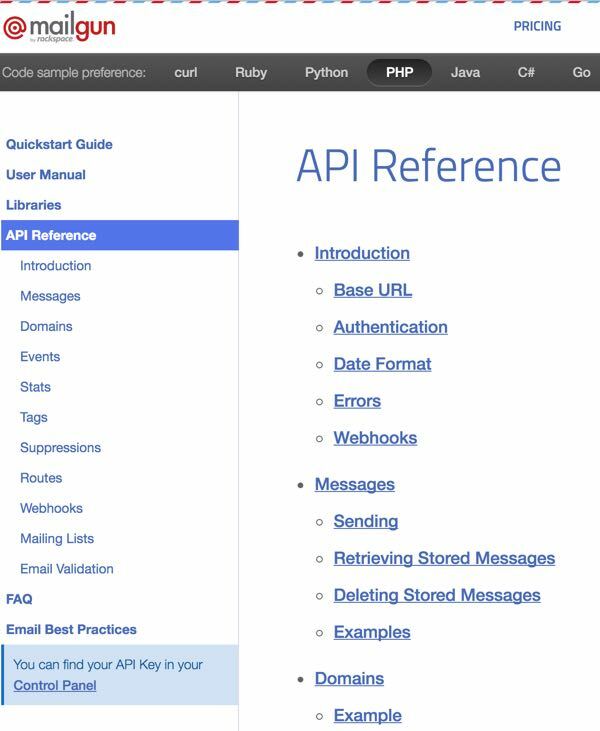 Mailgun's API supports all of the most popular languages including PHP, Ruby, Go, Python, C# and Java, and they offer excellent, well-organized documentation. There's also an excellent Mailgun plugin for WordPress which helps you link your website to your Mailgun service. 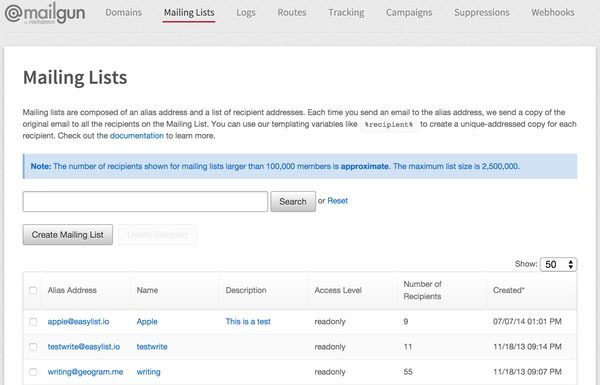 Mailgun is accessible to developers testing and running production environments. The basic account is free for up to 10,000 messages monthly. 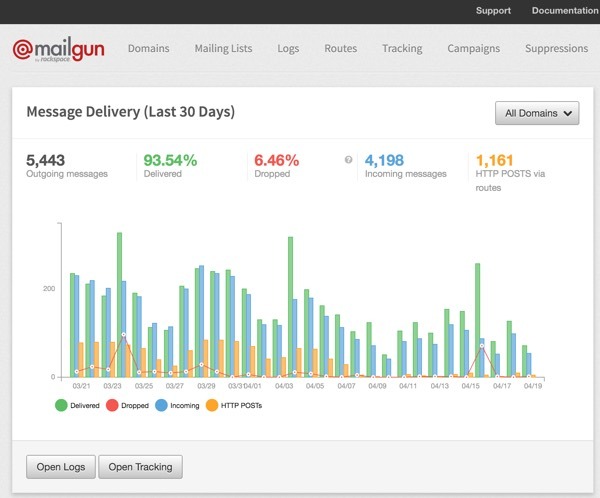 Mailgun is integrated into Rackspace Cloud, Heroku and Google App Engine. 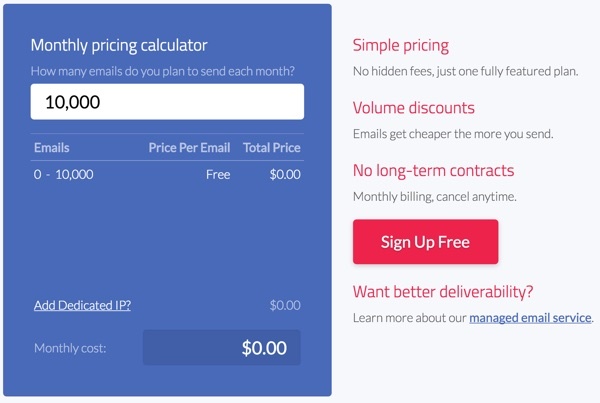 Overall, pricing is a usage-based, monthly subscription, e.g. 100,000 emails is only $45 per month. Usage is based on outbound messages and the number of dedicated IP addresses used. There is no charge for inbound messages. In this tutorial, I'll give you a high-level walkthrough of Mailgun and its key services so you can discover the benefits that it can offer your company, startup or individual projects. While this is a sponsored piece, I've been a genuinely enthusiastic Mailgun developer for several years. I've written Mailgun-centered blog posts for the company and Envato Tuts+ and added the list subscription functionality to their WordPress plugin last year. I'm especially interested in your experience with Mailgun or if you want to suggest topics related to email for future tutorials. Please post them below in the comments and of course, you can reach me on Twitter @reifman. You'll be provided API keys and asked to authenticate ownership of your domain(s) with DNS updates. 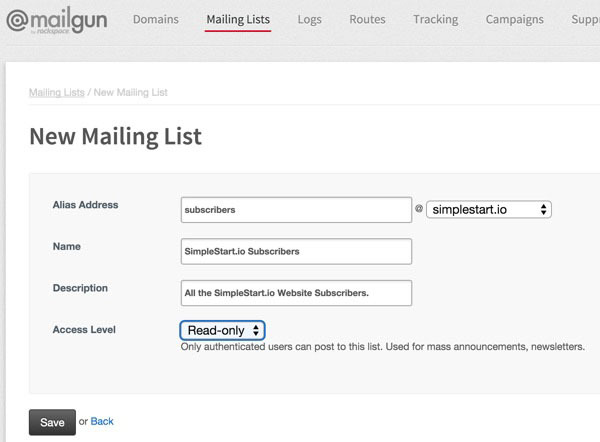 These make it easy to get started sending private-label emails powered by Mailgun. While many people use Mailgun directly as developers, Mailgun also offers a turnkey managed email service for companies interested in having the difficult aspects taken care of for them. 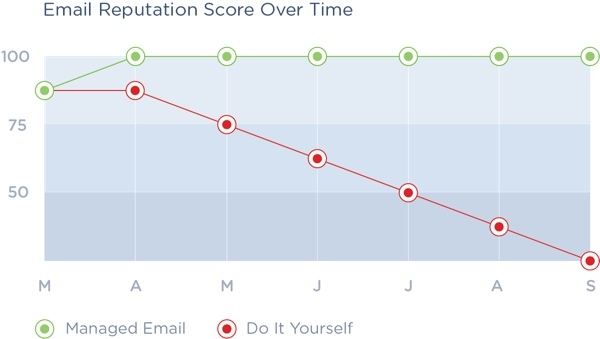 Sending tens of millions or hundreds of millions of emails a month requires an extra level of diligence to maintain a positive sending reputation. A single misstep can send a big part of your email to spam. Mailgun's managed email service keeps your company's reputation intact—in turn, this ensures that most all of your customers are receiving your emails. 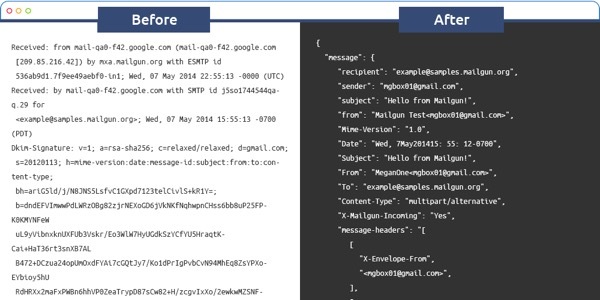 Many Mailgun customers use its APIs to automate their email needs. 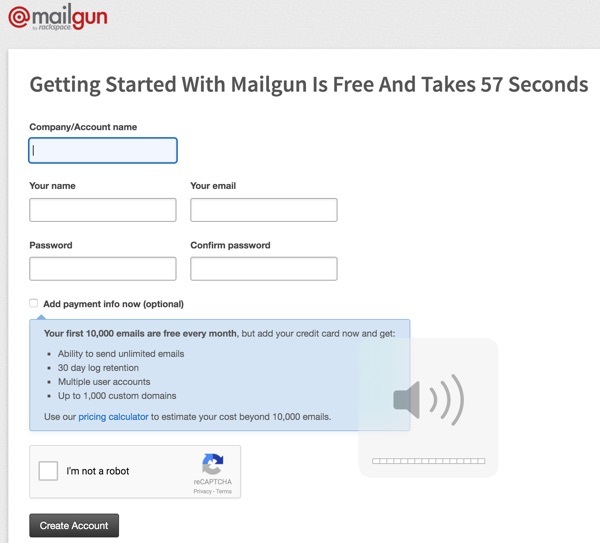 Mailgun offers a high-performing automated email engine with first-class reliability. 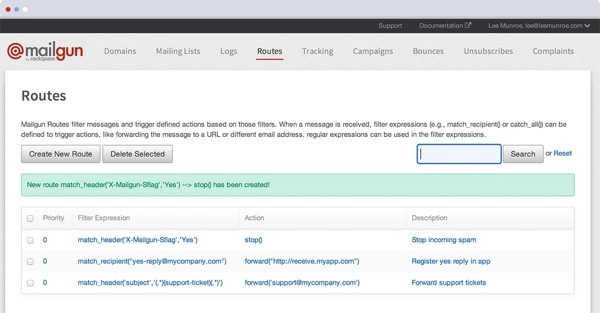 When you use the Mailgun API, you'll have full control over every aspect of your emails. 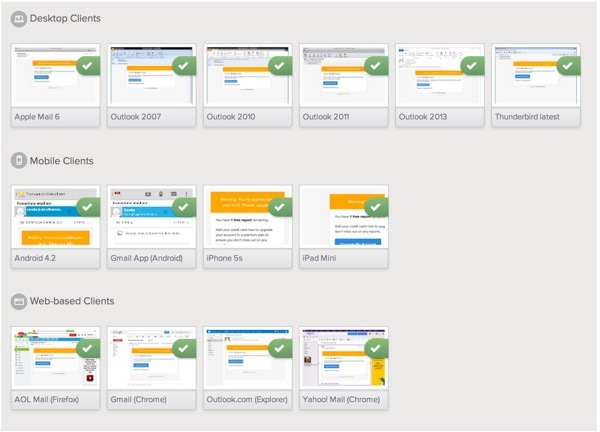 Recipient variables allow you to easily personalize all your emails for each user. First name, order value, and other common fields are easy. And you can personalize the entire look of the email by including image URLs with your recipient variables. 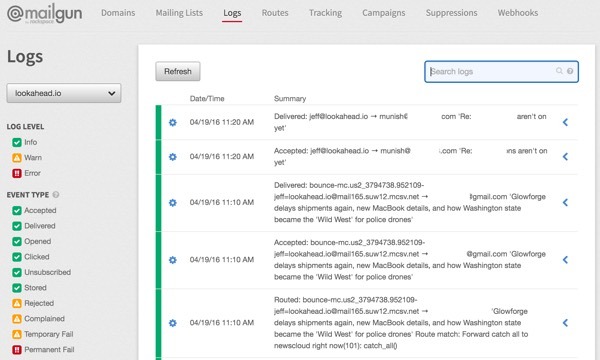 You don’t have to come to Mailgun to find out what’s happening to your email. They find you. Using webhooks, you can receive real-time notifications for everything that is going on with your email. You can also use Mailgun as an SMTP delivery engine. While the Mailgun API offers better long-term performance and maintenance, SMTP is an open and established protocol with a large ecosystem that will work with many established systems and applications. For example, many WordPress publishers lack outbound email services on their hosting plans and struggle to set up basic contact forms for their website. 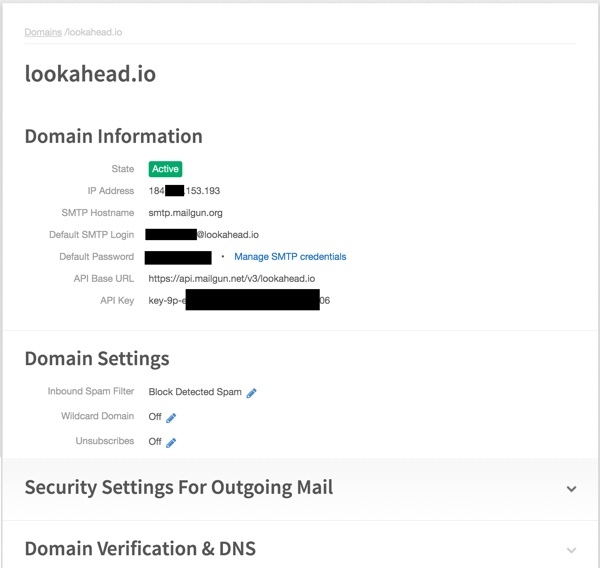 The free Mailgun Plugin for WordPress solves this problem by powering outbound WordPress email with Mailgun's SMTP interface. It's also more secure than operating your own SMTP service, which is filled with risks. Once installed, you can also use widgets or shortcodes to collect subscriber emails for your website. 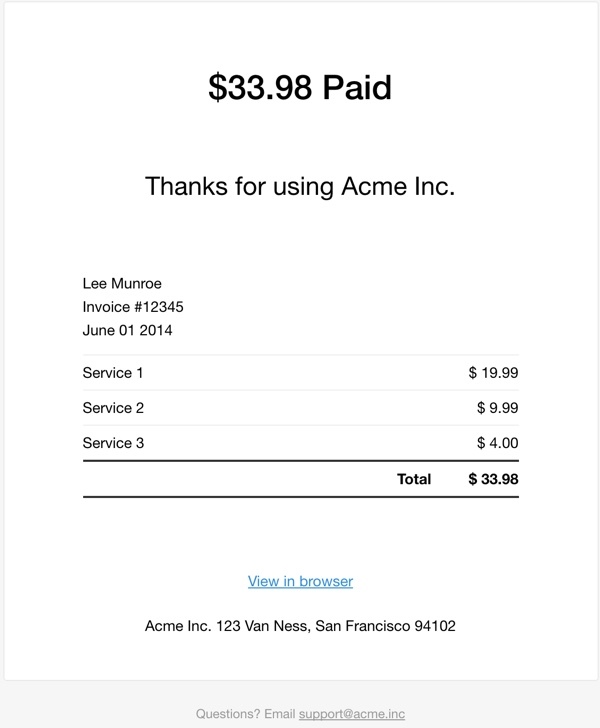 It also can support gathering subscriptions to multiple lists. The templates are downloadable from their open-source GitHub account. As a developer, Mailgun has top-notch documentation. It provides support for a variety of languages, e.g. Ruby, Python, PHP, Java, C# and Go. 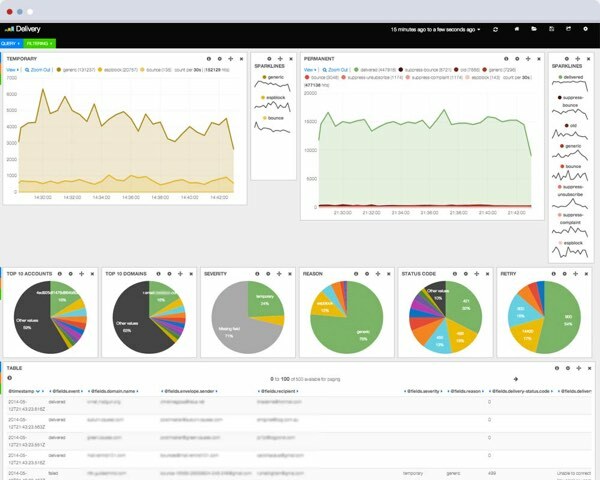 It provides working examples of implementing Mailgun functionality across its services, whether you're broadcasting, tracking or routing. Developers spend months coding email parsing on their own, a task that's never really complete. Mailgun manages this for you. Mailgun supports campaign-ids in your email and can track performance of any of your broadcast efforts by these ids. You can also segment your emails using tags. 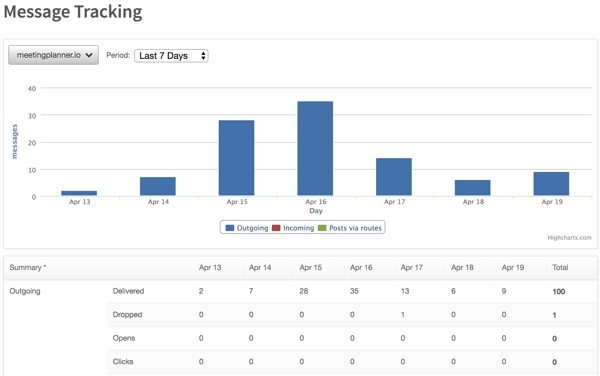 With tags, you can create simple A/B tests or do deeper cohort analysis. If you also use webhooks, your tags are automatically encoded into the webhook, which makes tying email back to your data a breeze. This can greatly reduce the processing load of your own application on the remaining, valid email. You may also want to check out my Mailgun blog post about a third-party PHP-based application which uses various features of the mailing list API: Open-source mailing list applet using the Mailgun PHP SDK. While RFC email standards state formal rules for email addresses, in the real world email service providers accept addresses that are not RFC-valid, and reject addresses that are. Mailgun built its own email validator based on real-world data and the RFC specification to ensure more accurate validation. They provide access to the validator through its open-source JQuery Email Validator plugin. Mailgun offers a vast array of email services that are relevant to all kinds of coding, marketing and business development needs. And, impressively, they do a great job at all that they offer. Certainly this is a sponsored post, but as an experienced user, I offer my authentic recommendation for you to try out the service today. I hope you're excited to do so. Please let me know which Mailgun features you'd like to see more written about in the future. You can post them in the comments below or reach me directly on Twitter @reifman.